Beyond the law, but not out of the law. My script ‘TickConverter’ has been published here. The proof reader of ‘mql5.com’ site was very kind, and supportive. I wish to make much more programs asking for better benefit. Since the original include file is partially modified, it is necessary to replace these files;”Files/FileBin.mqh,Files/File.mqh”. ‘BV’s 1pip unit display’ is made possible. Spread cancellation is also implemented. In this script, Struct MqlRate including ‘spread’ is filled with 0, and ‘real_volume’ is used for recording ‘tick interval(seconds). I recommend 5 minute chart to attach as source of this script. Since data interpolation is performed, the deviation from the actual chart becomes large when the time frame is longer than that. 1 Attach this script to a M5 or M1 online chart. 2 Open offline history file from menu(file-offlinechart- see ‘T’suffics file). 3 If the offline chart was not change automatically, attach this script to previous online chart again. 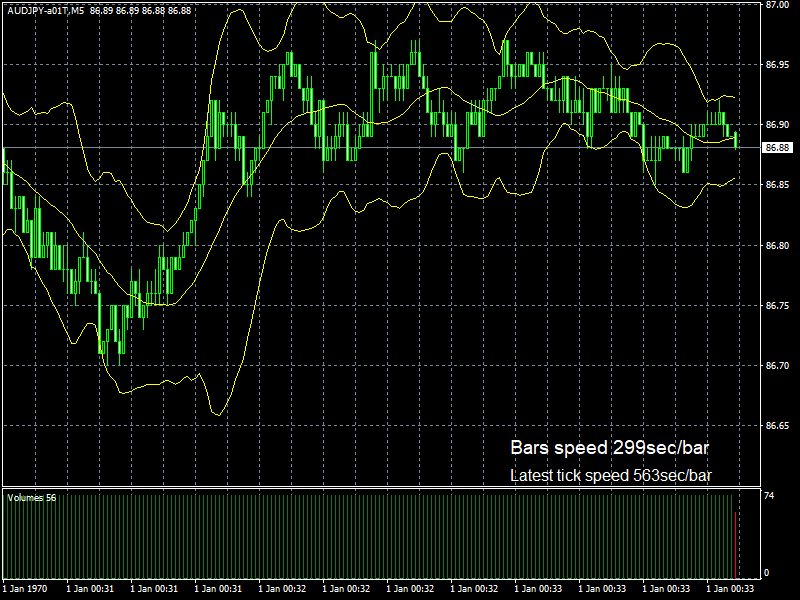 4 Attach any indicator you like to offline chart. “Volume” indicator will be recommended so that helps you see the tick completion displayed in red turn to green at a glance. 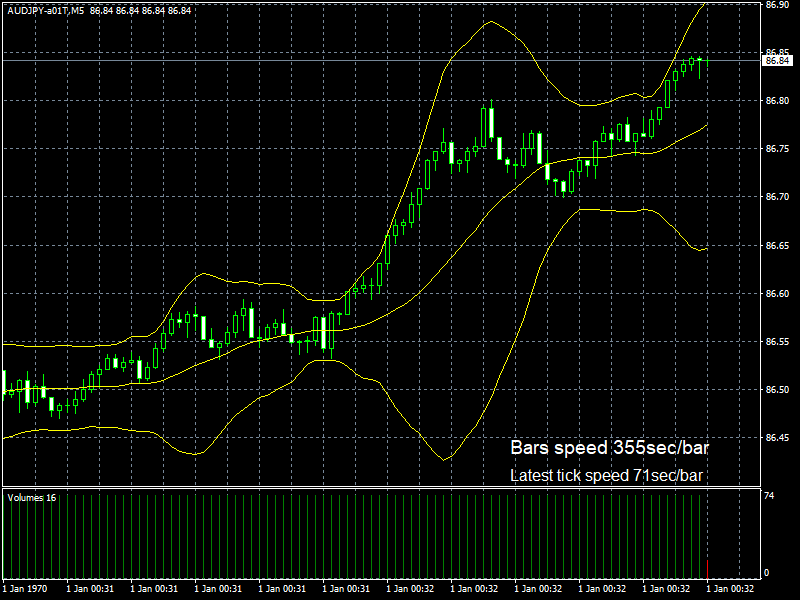 To display 20 EMA, the indicator “Moving Average” or “Bollinger Bands” should be used. It seems that it is possible to substitute existing on the range indication etc. which had been created with the indicator version. Independent indicator for supporting BobVolman’s method is under development. ver1.02 Tick and Bars Speed displayable. A message to politicians who bring out nasty words in japan. You cannot say the words which are not inside your brain. That is not ‘mistake’ but ‘messy talk’. Posted bywpmaster June 30, 2017 Posted inUncategorizedLeave a comment on A message to politicians who bring out nasty words in japan. Caution: This instruction does not consider strict security. You must know much more to keep proper security for publication to world-wide. So I recommend this server constructed here should be used for your personal practice how to make web server. If you want to know more, the related links below will be your help. Caution:This instruction does not consider strict security. You must know much more to keep proper security for publication to world wide. So I recommend this server constructed here should be used for your personal practice how to make LAMP(linux-apache-mysql-perl,php,python) web server. If you want to get farther knowledge, visit the related links suggested below. Those would be good help for you. #symbolic link has been updated. #You might be warned because you don't have ssl settings yet. #systemctl works at low level, so need more security. You can be more comfortable for teraterm command line and ttmacros. e.g. shell “C:\Program Files (x86)\teraterm\ttermpro.exe” <your url or ip of ssh server >:\<port number> /ssh /2 /auth=publickey /user=<your user> /keyfile=”Path/to/private_key/file” /passwd=”\<your password>”. Caution: This instructions do not consider strict security. You must know much more to keep proper security for publication to world wide. So I recommend this server constructed here should be used for your personal practice how to make LAMP(linux-apache-mysql-perl,php,python) web server. If you want to get farther knowledges, visit related links suggested below. Those would be good help for you. Note: Placeholders are signed as < ..data.. >. you must fill your data. […] sign as key input. #other packages than above automated to be installed by dependency. It will be good for security, but may cause some trouble when installing some kind of apprication. Note: VNC browser view is uncomfortable because of not working cut and paste with Windows clipboard, that You would be better to create SSH connect as soon as possible. TeraTermPro ; at Windows e.g. You can login with your user not root. wheel user was set before, when the OS was installed. Check the IANA website and see the “Service Name and Transport Protocol Port Number Registry”. You may choose new port number for your ssh connect from 32768 to 61000(linux ready private number). Other number may be OK, but that must be checked conflict against known port number. #learn how to use vim at vim tutor. that you comment-out all the way of authentications except RSA key. # Change the public key name along with the sshd_config, and copy for login-user. # By SSHSCR Receive [/root/.ssh/id_rsa]  to [proper directory local PC] e.g "C:\Program Files (x86)\teraterm"
rm -fR /root/.ssh    #you don't need root .ssh, invalid root login at this sshd. #if success this key connection, you can close 1st and 2nd TeraTermPro safely. #If you find mail from "root@<ip>", that would be success settings. #Do not do this before yum update, it may fail of dependency. The full contents version has oversize for DVD. Upload the image to vps provider’s storage, follow the instruction. OS:[custom OS] > pull down the list and the last one is the latest you uploaded. It’s ok with default set. /boot and /swap should be remained default. Forced reject the install disk from check box at the top of view. When the progress bar is displayed and, is showed the login : prompt, you made success install. enter your user and pass, try login. I made an MetaTrader4 platform on the virtual private server(VPS-KVM) provided by “ONAMAE.com”. 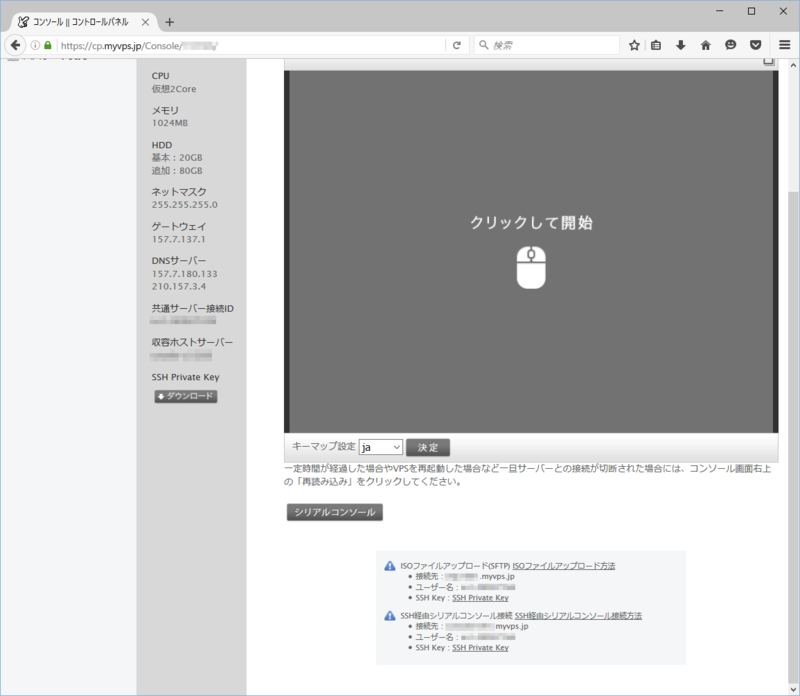 You can jump to “onamae.com” web site, and make a contract of smallest size VPS(KVM) that has memory size 1GB. Don’t select any bigger one. You don’t need higher spec over 2GB memory for this aim, in this case to install and run the MetaTrader4 and some related programs. 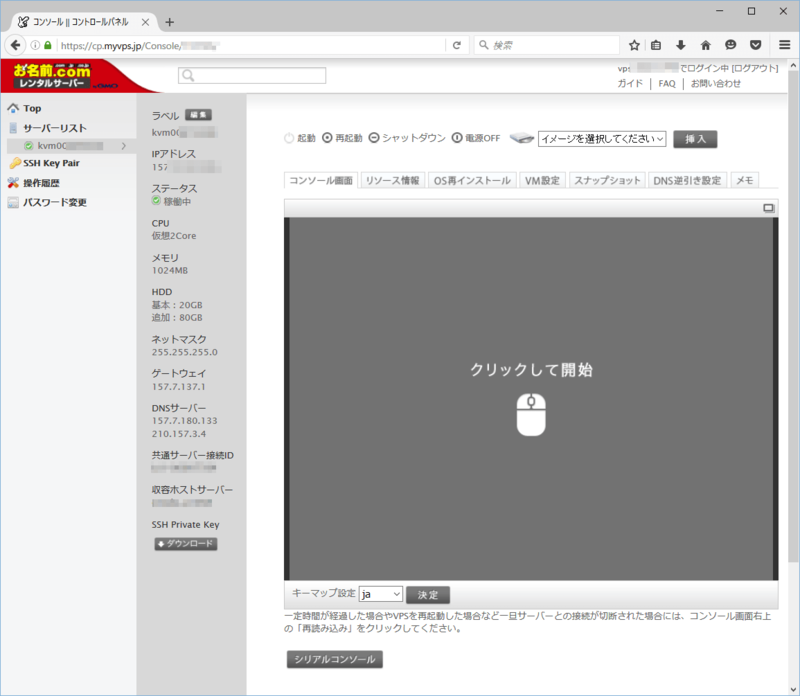 Then you can get “Login ID” and “Password” of your VPS, go to the login page “https://cp.myvps.jp/”, and start your control panel. Click the VPS name field (for example “kvm00XXXXXX”). Next, you have to install Operating System, desktop manager, and WINE Windows(R) compatibility layer program. I would recommend “lubuntu” the lighter version of “Ubuntu”. – Support the Ubuntu kernel and WINE package. Well, Let’s start installation processes. 1) First, you have to visit “lubuntu” web site, and download the latest “-.iso” image file. 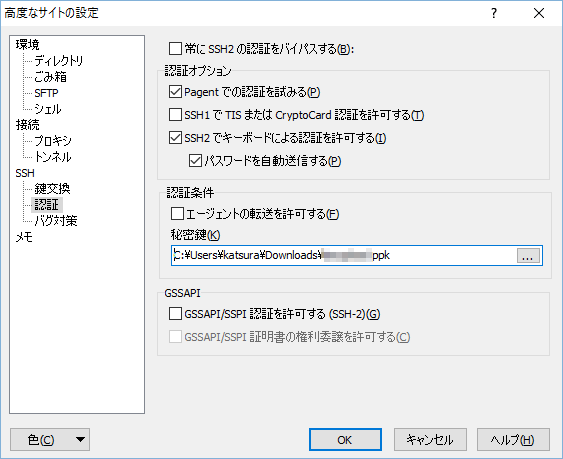 Do not download Japanese localized version, since save memory. In this case, you cannot use Japanese IME at your VPS. 3) The “-.iso” file previously downloaded must be inserted to the special “image” folder of common server at ONAMAE.COM. 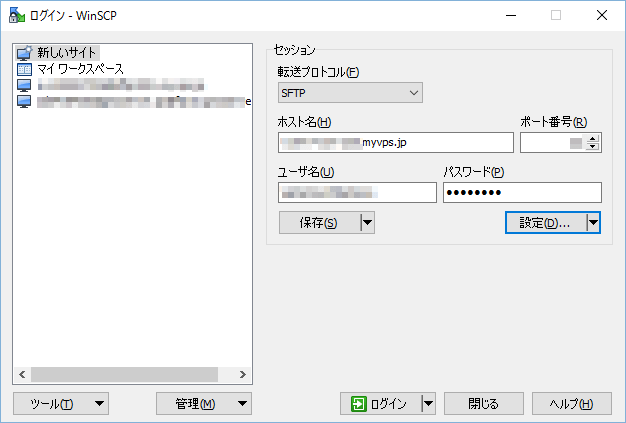 You can use “WinSCP(SFTP software for Windows)“. If you are using the other Operating System, you can use your SFTP client suited your OS). 4) At your WinSCP, Select “New Site” > SFTP , and fill Host name > User name > Password. And you have to hit the “Settings” button. You can find SSH > “Permission” at menu tree on the left, Select “Secret Key” from file already downloaded. You will find a notification saying some cautions. You have to create and save a “private key” as .ppk format. After you saved that key, you should select again the saved key(-.ppk not -.key), and press login button on the WinSCP. 5) After copying iso image into server, You have to go back to server control panel. Click the server listing area “kvm/////”, press the “please select image” drop-box, scroll down , choose “[kvm///]lubuntu///]”, hit “insert” button, then click “restart” button. Control panel load the iso data, and prepare install menu. Follow the instructions of installer. Nothing will be bothering you while the installing process. The installer show a restart order on-screen. You have to remove force the iso image. After that, hit the “restart” button again. If you complete process, the lubuntu desktop will appear on-screen. Resolution can be changed from menu > Preferences > Monitor Settings. So, Let’s go next step. Next, You would install WINE. The site “https://wiki.winehq.org/Ubuntu” will help you well. 1) Login Control panel, and start server. *Notice: Stable version 1.8 have some trouble with winhttp, so MetaTrader4 installer will lost network connectivity, and may cause of install failure(so-called “proxy problem”). WINE installer help you when you need to install other necessary program. Please obey their suggestions. 6) Visit MetaTrader4 download page (anywhere you like) ,download, and save the .exe file. 7) Start Filer, and open the metatrader.exe by Wine program loader. Install process will begin. That’s all for installation. Try metatrader4 on your VPS. If you have original Expert Adviser or Indicator etc already, it would be better to install SSH and FTP server on your VPS. Let’s try final step. If you need to handle your VPS with remote, these applications below must be helpful to save your time. *It’s easy! However, it may cause security problem, so you must install firewall. I recommend “WinSCP” as client for Windows. There is one difference between .iso loading process and after OS installed. If you installed OS from your own uploaded .iso file, you don’t have to hit the “Settings” button. You could find SSH > “Permission” at menu tree on the left. However, You can connect by password, so you don’t need download the “Secret Key”. One caution is that password authentication includes security risks. So you must install Firewall on your server and close port, while you don’t handle remote file handling. *It have also security risk, so you must install firewall. I recommend “TeraTerm” as client for Windows. * When you don’t need remote file handle, It would be better to set the firewall “on”. If you need more information, please search from internet resources. The original program was developed by Mr.Rondo(http://fx-dollaryen.seesaa.net/article/414537690.html). Adding a control panel to change or reset the number of DD and Range settings. 1. Download 70tick20ema.mq4 and myCPanel.mqh. 2. Put the *.mq4 file to ‘Indicator’ directory , and Put the *.mqh file to ‘Include’ directory. 3. Compile mq4 file in MetaEditor. 4. Let’s try on your chart. Please try in various usage. When the display becomes strange, turn off the chart, and try to re-display. ‘Ignore spread true’ means absorb the spreads variable. when it is false, bar price is displayed as supplied price by your fx broker. Lawyer Katsura Yamanouchi Blog, Proudly powered by WordPress.